Patco Exports Pvt. Ltd. is an illustrious organization that is involved in manufacturing, supplying, importing and exporting a vast array of Spinning Rings. We are manufacturing ring temples and it's ring for all types of weaving looms. - Complete range of drafting gears and change gears for all types of ring spinning frames. As per the needs and requirements of our clients, we are involved in providing Spinning Ring Frame Belt. We offer Ring Frame Machine Spares that are highly demanded in textile industry. In order to design this textile spinning machinery, our vendors make use of optimum quality components and latest technology that ensures its smooth operation and better functional life. We offer these ring at market leading prices. Autodoffing modification for Zinser Ring frame. 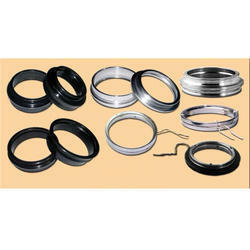 We are well known as a reputed organization to provide a wide range of Replacement Spares For Chineese Ring Frame.